I began with 1/2 of a vintage yardstick. 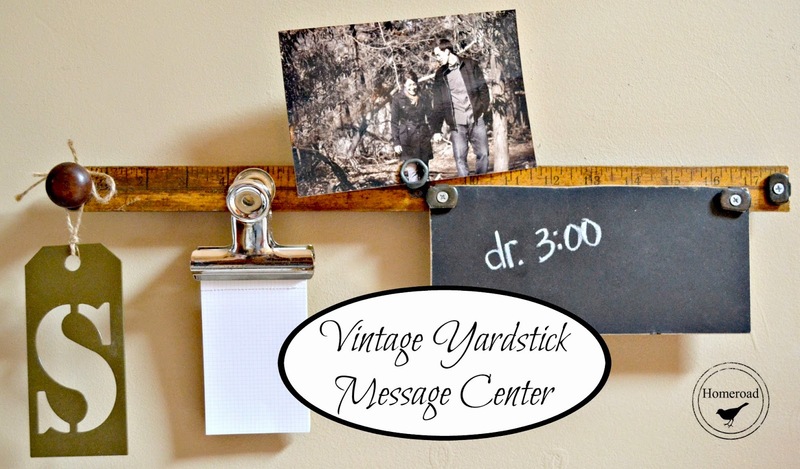 I added pieces to this message center as I went, anchoring them to the yardstick with old pieces of hinges. 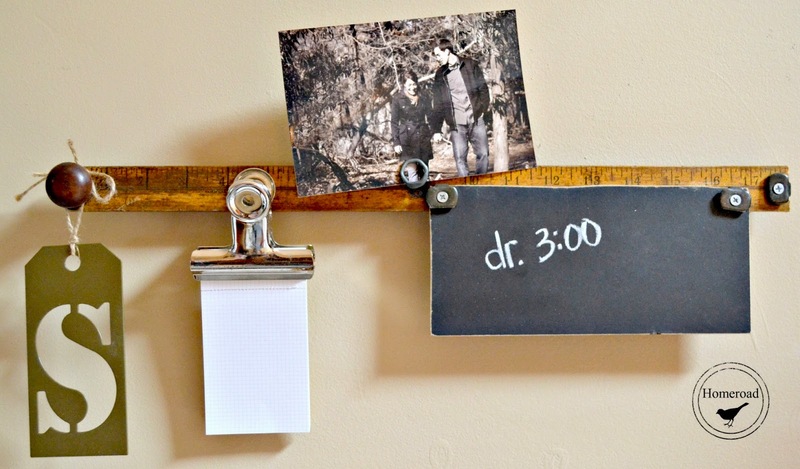 The hinges act as washers for the screws and give this memo holder a little vintage industrial bling. 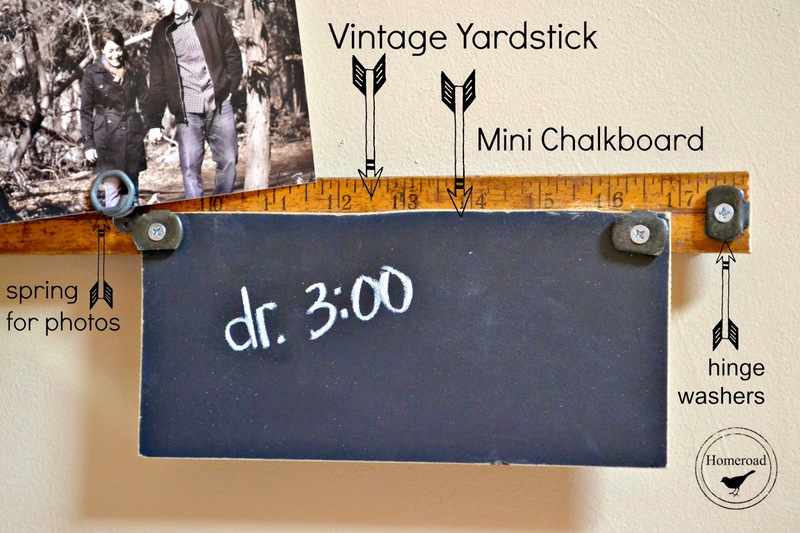 A chalkboard, a vintage spring that holds photos. 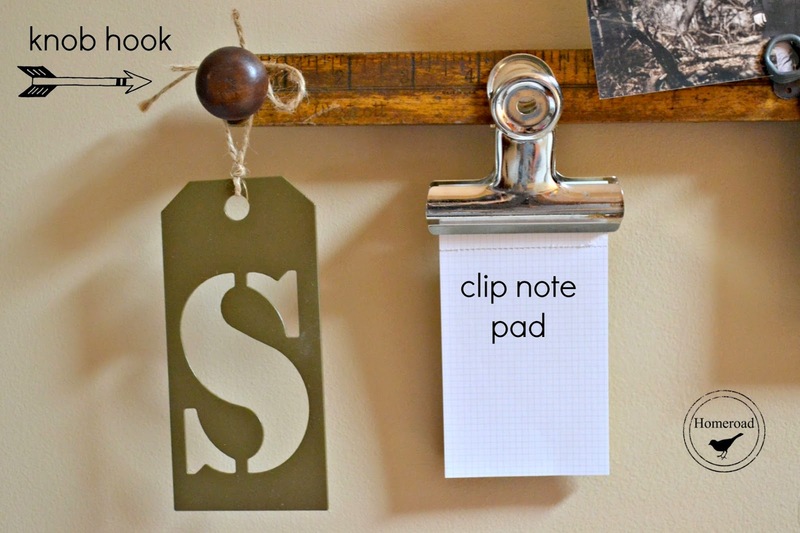 A vintage knob as a hook to hang keys and a large clip to hold a note pad. wherever you may need a little message center. This message center lasted exactly 1 day in my shop before someone came and snatched it up. they are easy and inexpensive to make and look adorable! Love this Susan! Wonderful idea! No wonder someone snatched this up so quickly. It's super cute!